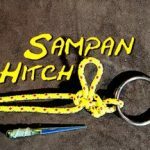 The Mooring Hitch is a rather nice simple little hitch to learn to tie. I think that it is another one of those knots that you learn and then never forget. I have read on one site the the mooring hitch is not suitable for tying up a vessel for an extended period. 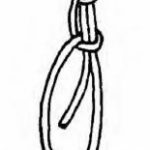 It would seem to me a that the Mooring Hitch is a rather strange name for a knot that is not totally suited for that purpose. 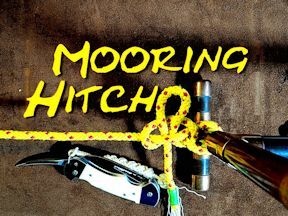 Another problem with the Mooring Hitch is that it is prone to jamming if it put under a heavy load. I personally have not put this hitch through all situations, but so for it would appear to be a rather fine light duty hitch. 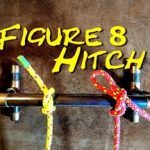 The one thing that I do like about the Mooring Hitch is that it is tied with final bight, which means that it is quick release. 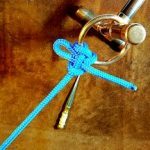 Often it is said that the problem with a quick release knot is that it can sometimes bee too easy to undo. 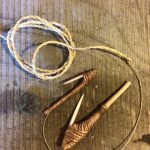 However, by putting the working end back through the loop or putting in a toggle into the loop would prevent this knot from accidentally coming undone.